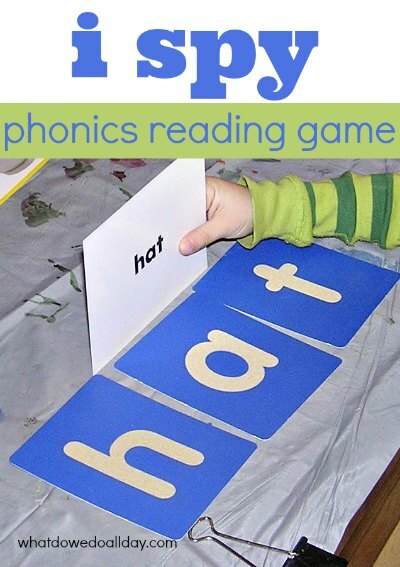 This is an easy reading game using letter sounds to spell three letter words. 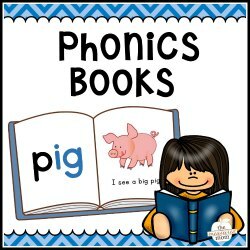 My son is constantly asking me how words are spelled so this was a fun way to harness his interest and sneak in a bit of phonics learning. I used a box of alphabet learning cards* and pulled out a few pictures of three letter words (e.g. cat, cup, hat) If you don’t have these cards, you could easily make them yourself with photos cut out from magazines. Paste the photo on one side side of an index card and write the word in lower case letters on the other. 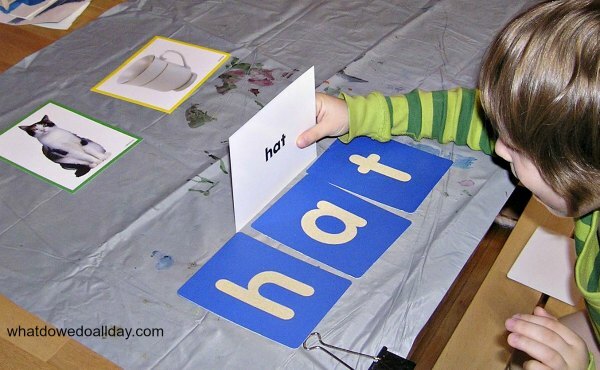 Sandpaper letters* We use these for so many activities they are worth buying, but you can also simply write individual letters on index cards. I lined up three pictures and then said “I spy, with my little eye something spelled huh-ah-ttt”. Kiddo then found the corresponding letters our of his sandpaper letter deck, he spelled the word and checked his work by turning the picture over to reveal the correctly spelled word. We continued with as many sets of three letter words I could pull out from the deck. We could only use words that didn’t repeat letters, but if you have more than one letter set, that wouldn’t be a problem. He thought it was great fun and it was easy for me since I could putz around doing household tasks (or sip my tea) while he found the letters and put together the word. As it’s hard for me to send you away without a few book suggestions, you may find my list of easy readers that won’t make you want to poke your eyes out useful. I’m a visual learner too…good idea to remove the pics. Bet he won’t like the game as much, though! I love how you had Kiddo spell the words himself after you gave him the sounds. I’ll keep that in mind for the future. Thanks!